Superheroes: Fighting Out Their Differences, or Ours? In 2015, I wrote an article about how this year would breathe new life into the superhero genre. I still feel that this will be the case, but in order for the genre to breathe in, it’s got to have the wind knocked out of it first. 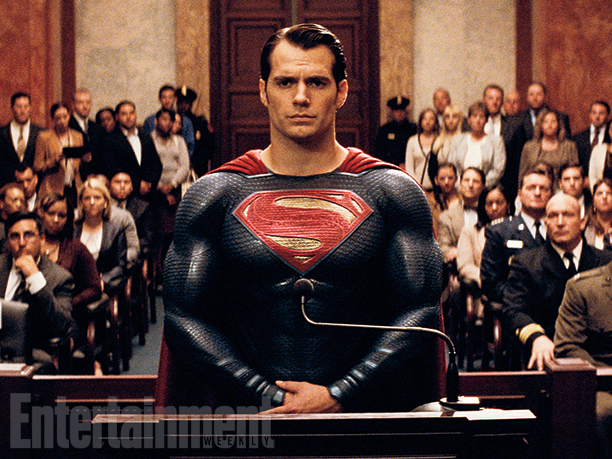 In ‘Batman v Superman’, Superman must face the consequences of his actions. 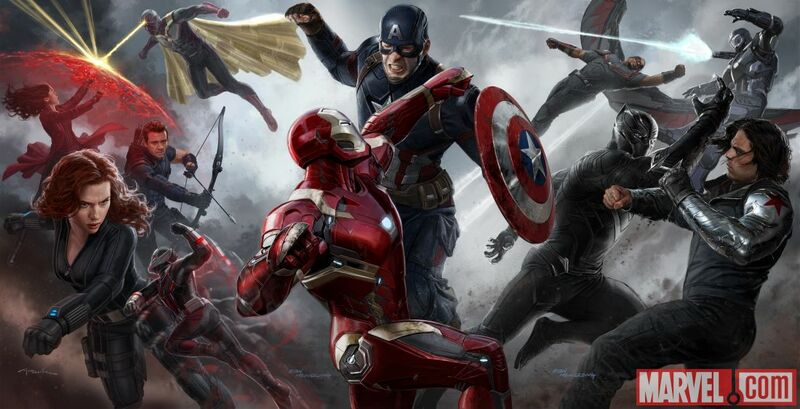 Enter all the superhero showdowns we will see this year. On Netflix, Charlie Cox’s Daredevil battles the Punisher. In the DC Universe, Batman takes on Superman and in the Marvel Cinematic Universe, Captain America will be turned against Iron Man. Of course, I’d be a fool if I didn’t mention how seeing these super powered match-ups is a sick form of wish fulfillment, watching some of the public’s favorite heroes fight each other in fan-serving, action-packed battles. But the war between heroes is as much of an ideological struggle as it is a physical one. Superhero movies are more popular now than they’ve ever been in history. However, we are coming to a point where some people are starting to express concerns with the content of these movies and the feared excess of said content. I remember walking out of my first viewing of The Avengers having really enjoyed the movie. My roommates, whom I went with, expressed that they had trouble focusing during the last act because they were thinking about how much the reconstruction of New York would cost. It was a silly notion to me at the time, but four years later, it’s a serious topic of discussion in superhero movies. Marvel Studios movies continued to decimate towns, and now, in Captain America: Civil War, the heroes are facing the consequences. In 2013’s Man of Steel, Superman inadvertently laid waste to Metropolis and is now facing similar repercussions at the hands of Batman. But the issues being dealt with in superhero media aren’t limited to destruction. Captain America battle over the issue of government overreach. 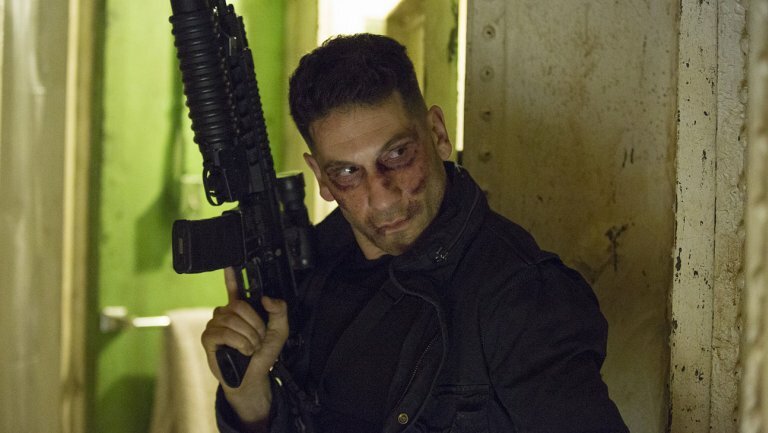 Season Two of Daredevil pits the titular hero, who has vowed not to kill, against the Punisher, a man who sets out to “punish” criminals by killing them. In this battle, questions regarding morality run rampant. Does a real hero refrain from killing? If villains keep finding ways to commit crimes again, then why give them the chance to? In dealing with these questions, superhero media is working through growing pains. As appreciation for the genre expands, more depth is longed for. People aren’t content watching a two-hour slugfest of good versus evil. It’s not enough for the characters on the screen to be conflicted anymore; the audience has to be as well. But this desire brings up another question: aren’t we already conflicted? With all the civil conflict between heroes, one has to wonder if these battles aren’t a representation of the American society we live in today. Historical patterns say that America’s ideological division should be closing, but anyone with an opinion in today’s age knows that this is not the case. The American society is divided, and one has to wonder how we cope with this. No one wants to listen to each other. No one wants to talk through problems. They only want the other side to conform without giving a thought to that side’s point of view. And so, if we as people can’t have conversations like this ourselves, then we must be tricked into having them. The Punisher tackles questions about the 2nd Amendment and the morality of heroes. For example, it’s almost impossible look at a character like the Punisher and not think about the divisive issue on the right to bear arms in America. There’s even a scene at the beginning of Daredevil s02e7 where people are asked to state their opinion on the Punisher. Responses vary from,”hero; doing things the cops won’t do,” to, “a grotesque insult to the 2nd Amendment. A fascist without the authority.” The comment about the Punisher that stood out to me the most came from a woman at the end of this scene who said that the Punisher should be applauded for putting violent criminals in the morgue. “Let those bastards feel scared walking down the street, for a change,” was the exact comment that struck me. Starting to see the connection? There’s a similar scene in Batman v Superman: Dawn of Justice that veers further into science-fiction, but the ideas and the sentiments expressed here are the same ones that are being brought up in Captain America: Civil War—when someone has that much power, does it then become the government’s responsibility to monitor/use this power? Who do the powerful/influential report to? Does the government hold people accountable, or do they just get in the way? The great thing about these questions is that the story never truly answers them. To do so would be to have filmmakers or producers of the content take sides in the debate. Instead, we’re inclined to invest in and identify with these characters who hold beliefs that may or may not be in line with those held by other loved characters. And so, they fight. And that’s perfect, because the intent of having the audience choose a side is not to answer controversial questions. It’s to start the conversation by asking us to identify with the people who try to. Enter your email address to follow 'A New Dish' and receive notifications of new posts by email.